Top 5 Reasons to BUY or NOT buy the MSI GS63VR 7RF Stealth Pro! If you are on the hunt for a notebook on which you can play your favorite titles but also one that can be taken anywhere effortlessly, then today’s article may catch your attention. Keep reading to find out the top 5 pros and cons of MSI GS63VR 7RF Stealth Pro. 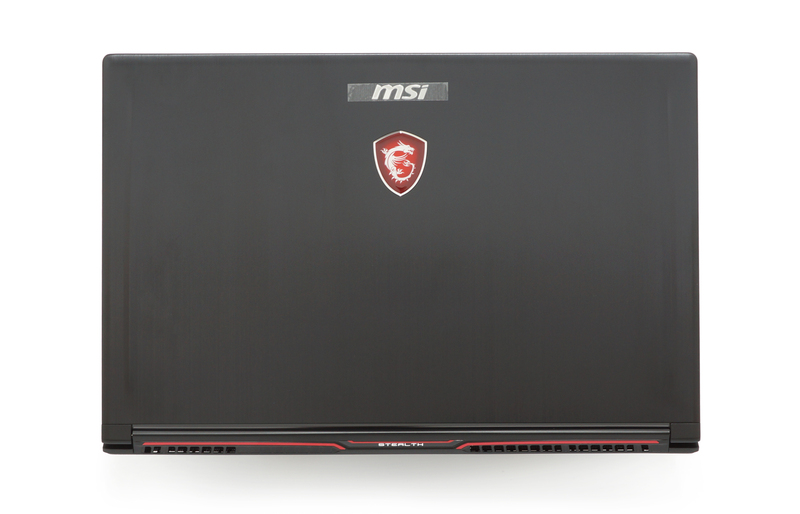 The MSI GS63VR 7RF is definitely the king of all thin and light gaming notebooks on the market. The device measures at 380 x 249 x 17.7 mm (14.96″ x 9.80″ x 0.70″) and weighs the impressive 1.8 kg (4 lbs). Even the smaller 14-inch Razer Blade drags behind it. The only device that can be considered almost on par with the MSI beast is the ASUS ROG Zephyrus, despite being in a different league. 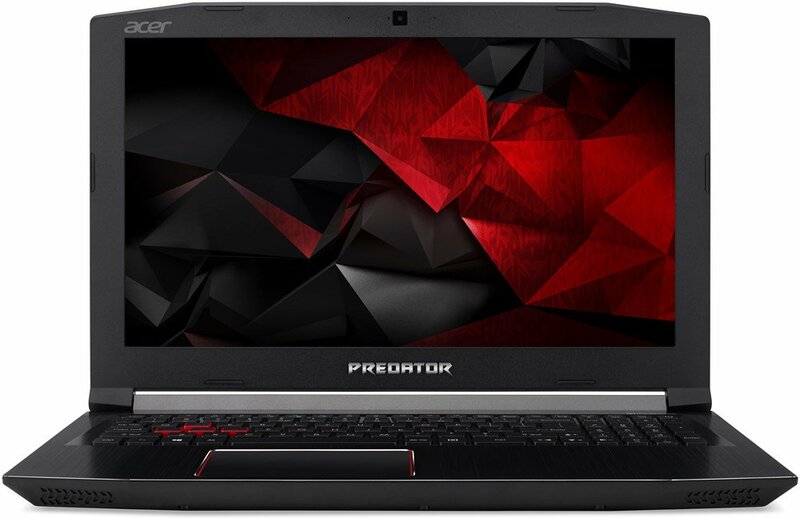 Undoubtedly, a 120 Hz display is a great plus for a gaming notebook as it allows you to fully immerse in your gaming experience. The 15.6-inch TN display of MSI GS63VR 7RF not only offers that, but also provides 100% sRGB color coverage for rich and crisp visuals. Moreover, you are presented with a surprisingly high contrast ratio of 1230:1 and really good maximum brightness of 351 nits. We should also mention that our Gaming and Web design profile brings the colors of the screen significantly closer to reality with the dE dropping from 11 down to just 2.2. In addition, although the light emitted by MSI’s GS63VR 7RF Stealth Pro display flickers (is PWM-adjusted) up to 95 nits of luminance, it does it with a high enough frequency (26 KHz), which makes it comfortable for extended periods of use. However, if this poses a problem for you, we suggest checking our Health-Guard profile that not only eliminates PWM but also helps limit the negative blue light emissions and preserves color accuracy as much as possible at the same time. Another must-have for a decent gaming laptop is good battery life. Well, MSI GS63VR 7RF Stealth Pro also lives up to our expectations in this aspect. The 65Wh battery unit scored more than 6 hours of web browsing time and over two hours of gaming which is impressive given the 120 Hz screen. One major drawback of this gaming beast that forms a distinction between it and the rest happens to be the price. It is quite likely that most people would decide to opt for a heavier and bulkier laptop if that is going to be more budget-friendly for their wallet. This is the time to mention the Lenovo Legion Y720 – an affordable alternative to MSI GS63VR 7RF Stealth Pro. 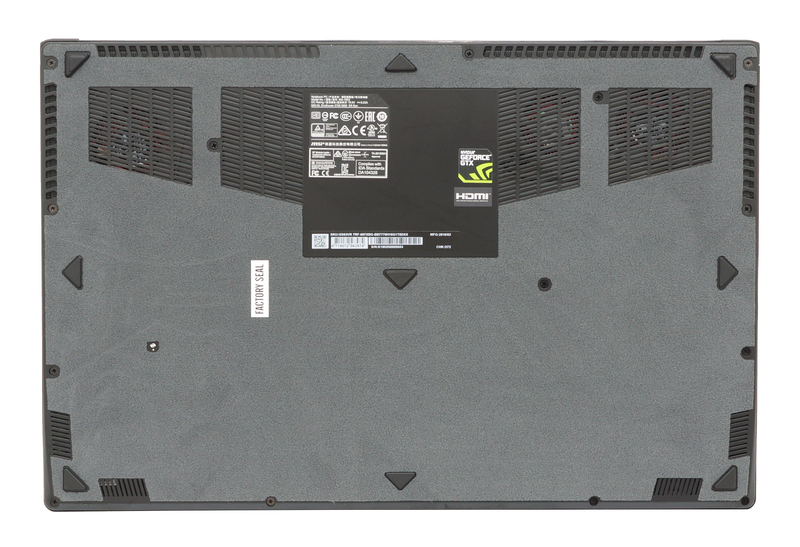 The otherwise brilliantly designed MSI GS63VR 7RF Stealth Pro has two major setbacks. The first one is the touchpad which is slightly uncomfortable to use as the buttons appear to be a little too tight. In addition, when you right-click the touchpad, there are some squeaking sounds coming from the palm rest area, plus the whole surface on the right seems prone to bending.